Yogurt, a cup of coffee, and fresh orange juice — this is what most people probably picture when they think of a perfect breakfast. Unfortunately, only a few people are aware that some foods are not very good for us if eaten on an empty stomach. 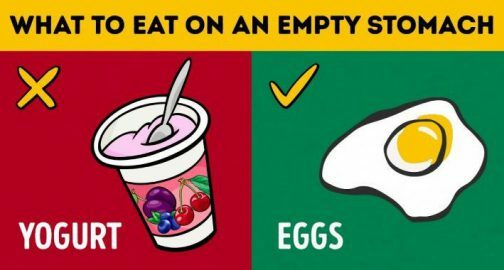 With that in mind, we have created a simple infographic that will guide you through what we should eat and what we should avoid in the morning.